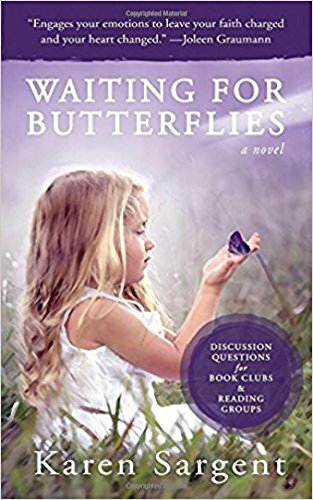 Waiting For Butterflies by Karen Sargent is a most beautiful contemporary Christian novel about a love that never dies. It is a study of grief so beautifully written that the words will penetrate your very soul. 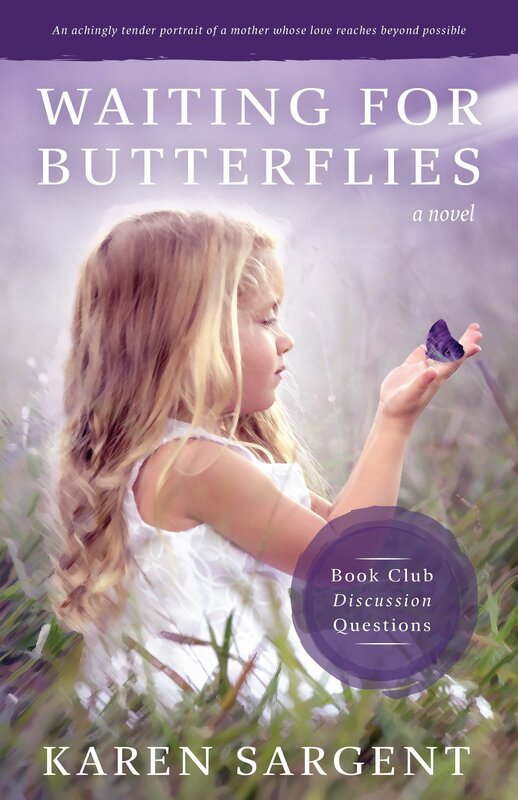 Waiting For Butterflies is a work of fiction showing death is not the end. You cannot kill love. 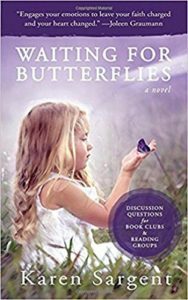 Everyone handles grief differently and needs to work through their grief to find a new type of ‘normal.’ The family in the novel was “trying to find our way back to normal.” There was anger and emptiness to work through as best as one could. There is no right or wrong way to grieve. There is only immense pain. Guilt is a normal part of grieving, There is always something left unsaid or something we wish we’d done differently. Regrets figure too and the pain of never having chance to say goodbye.